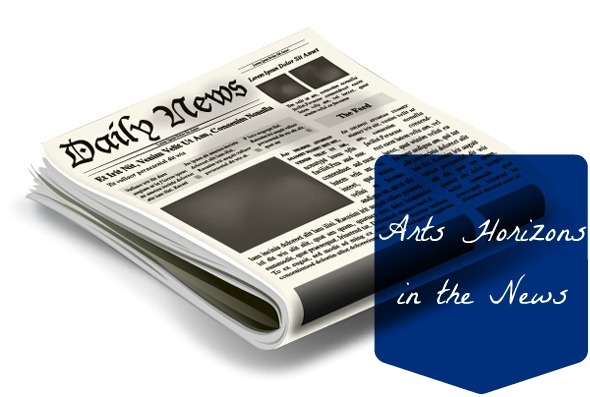 Arts Horizons is a premier not-for-profit arts-in-education organization that provides live professional performances and artist-in-residence programs to students and professional development for teachers throughout the entire tri-state region. Our commitment is to make music, art, dance, theatre, new media and creative writing an integral part not only of learning, but of life. Through the transformative impact of the arts, we reach young people through many dimensions, breaking down the barriers of language and culture, accelerating personal growth, and stimulating children’s full potential to prepare them for life in the twenty-first century. Posted on April 27, 2012, in In the News, New Jersey, Residency and tagged Angela Kariotis, artist-in-residence, Clinton School, immigration, Kit Sailer, PTA, Union City. Bookmark the permalink. Leave a comment.